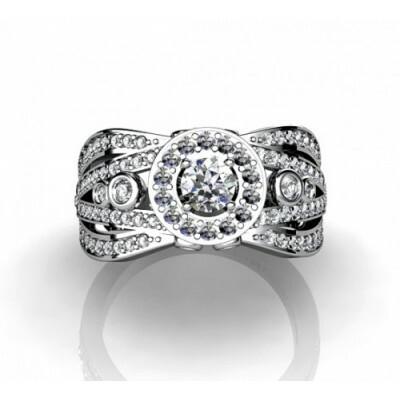 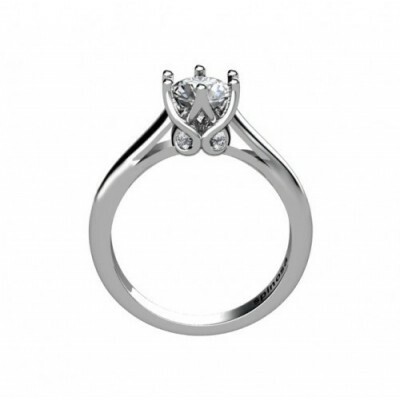 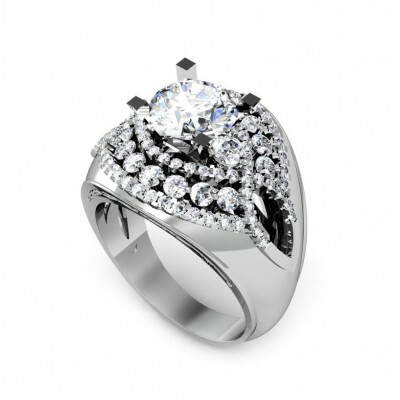 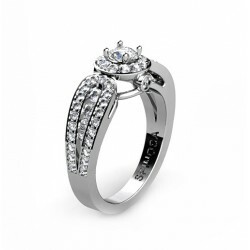 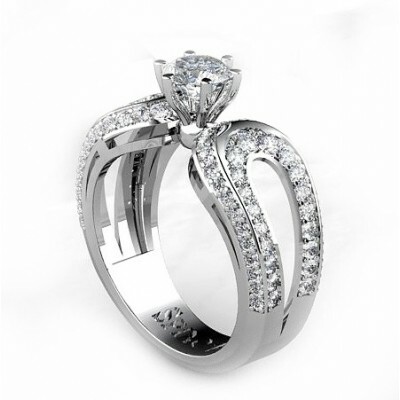 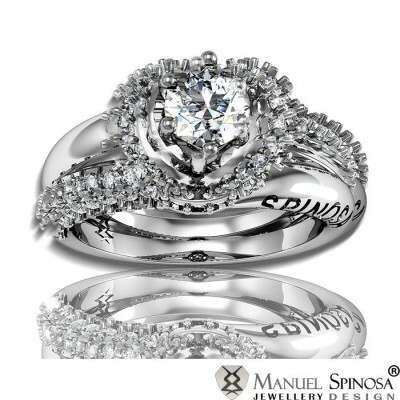 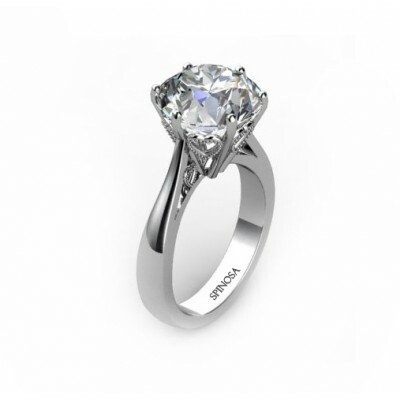 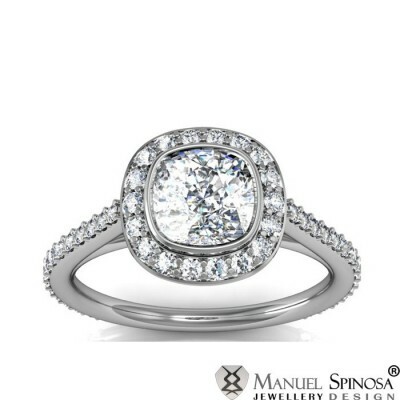 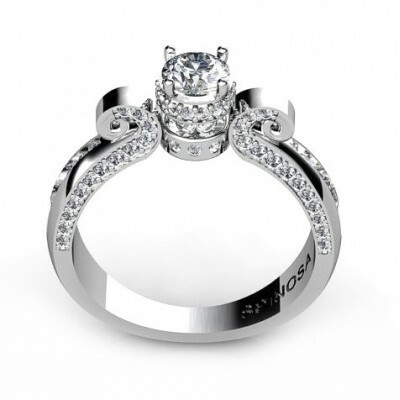 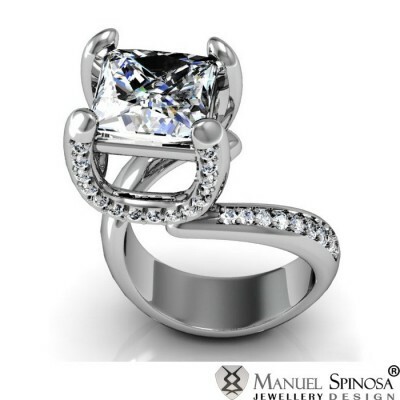 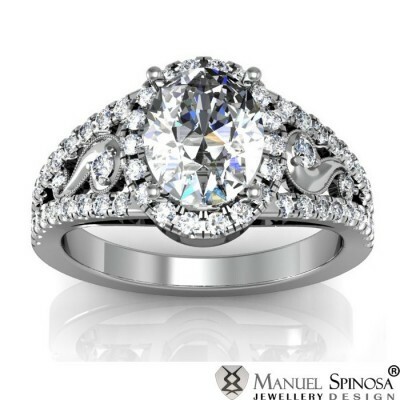 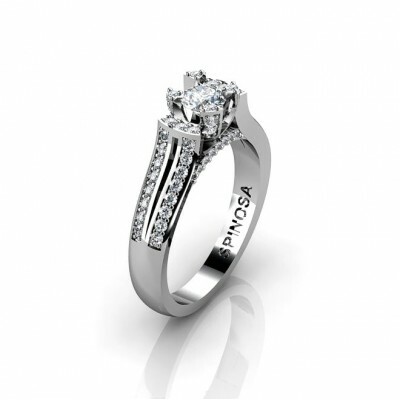 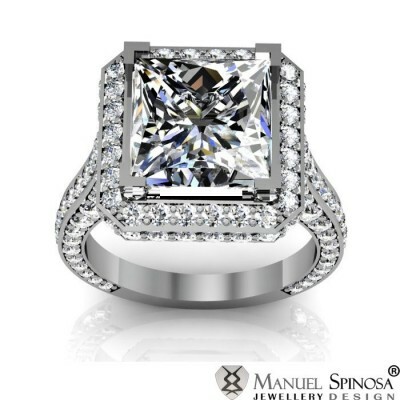 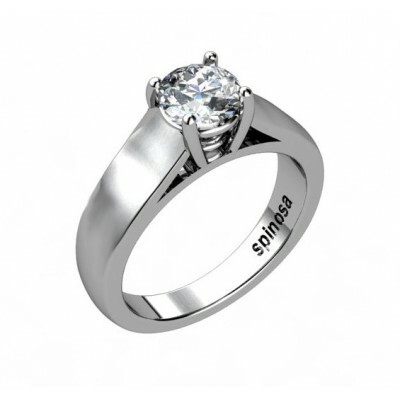 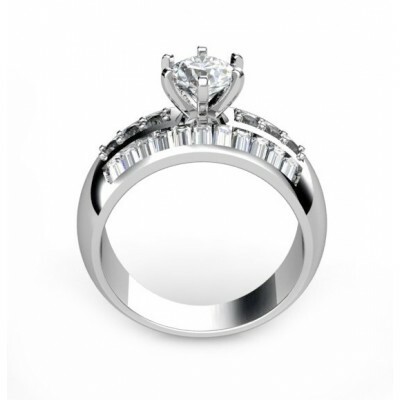 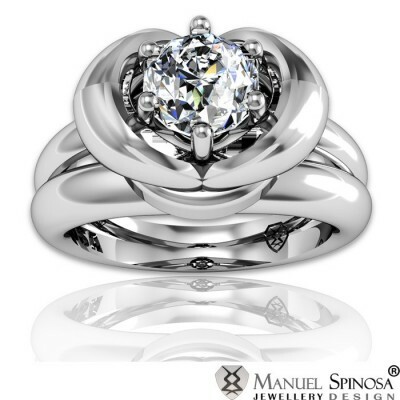 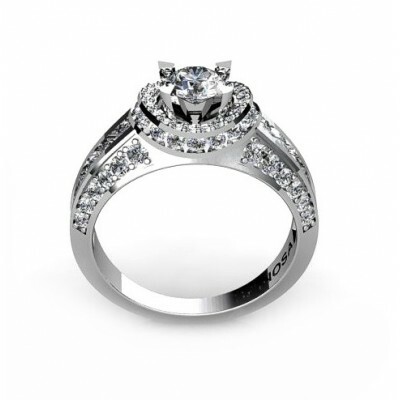 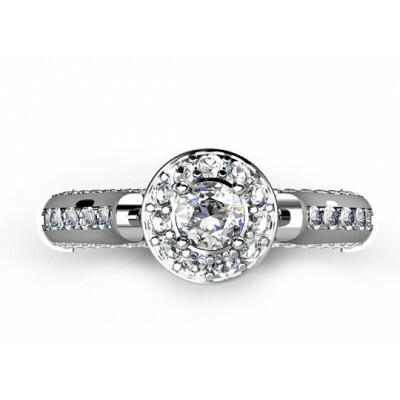 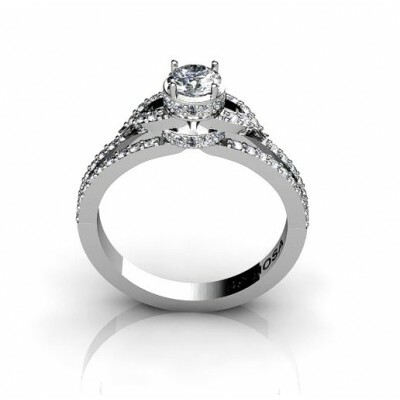 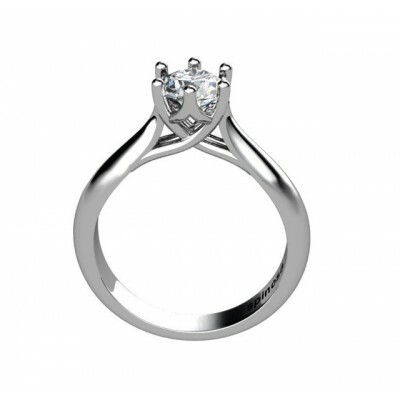 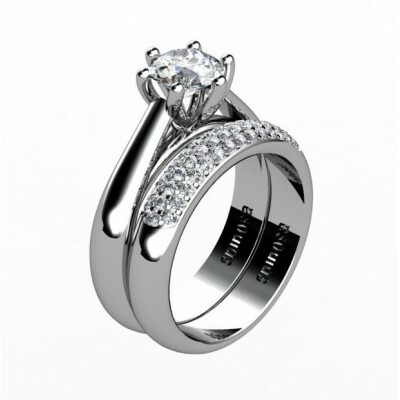 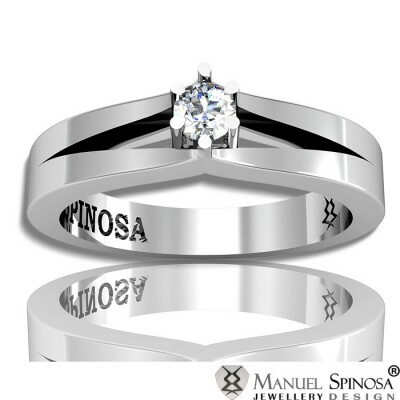 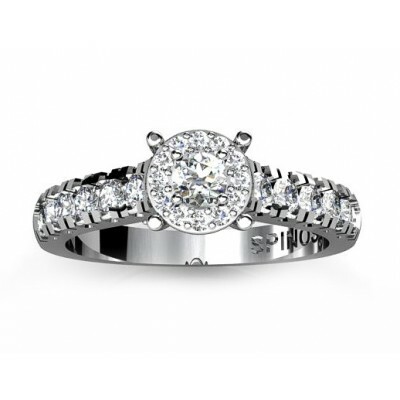 An awesome engagement ring with a unique contrast design of the diamonds. 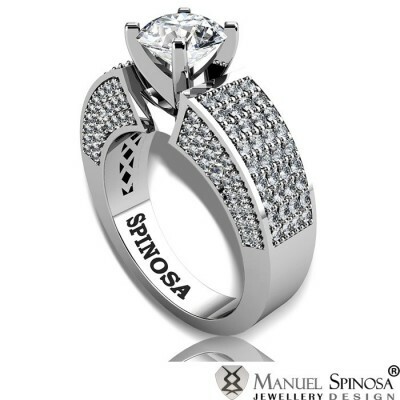 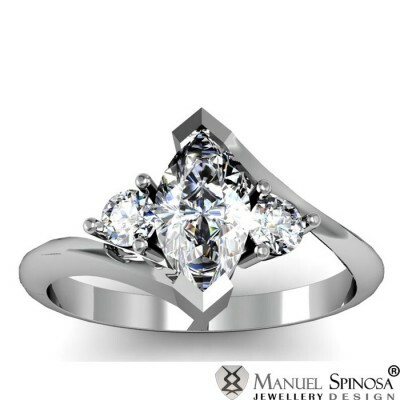 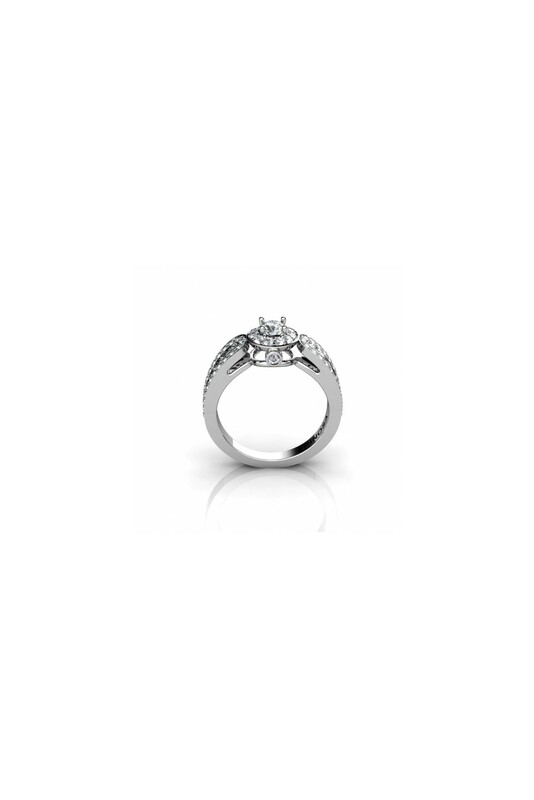 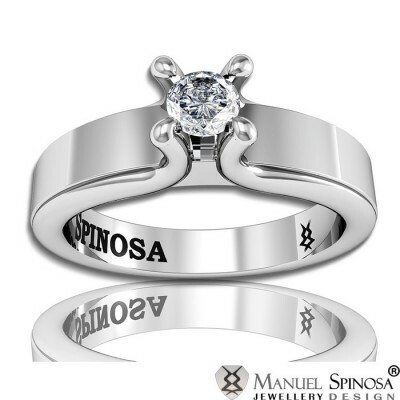 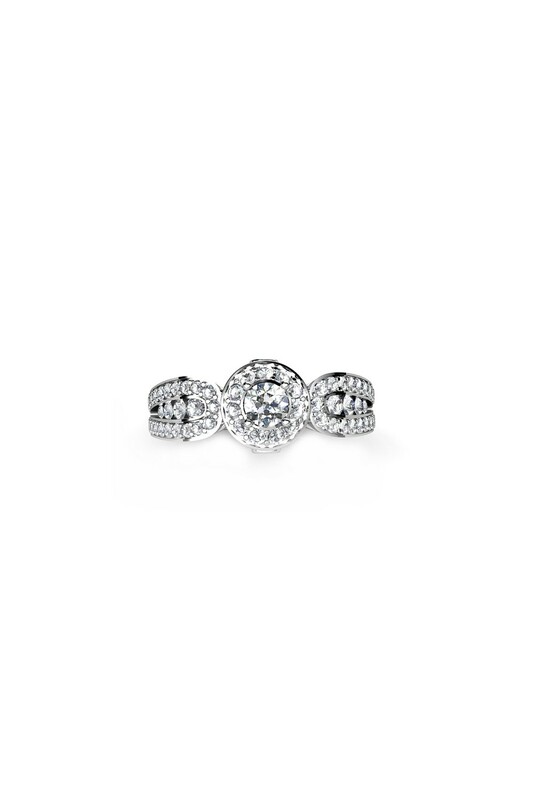 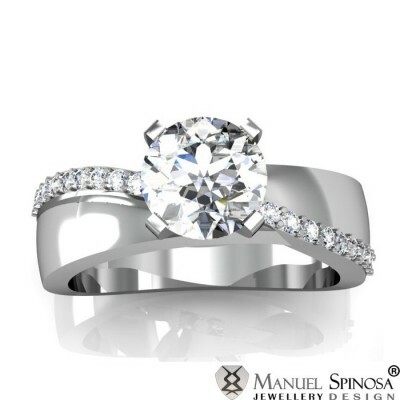 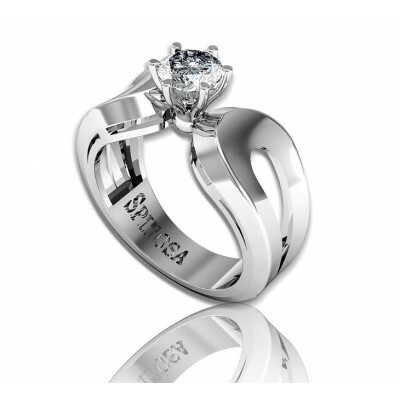 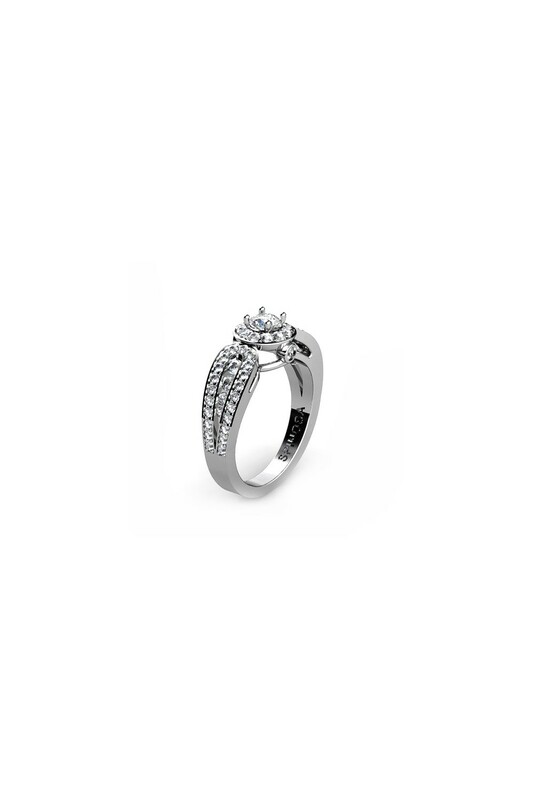 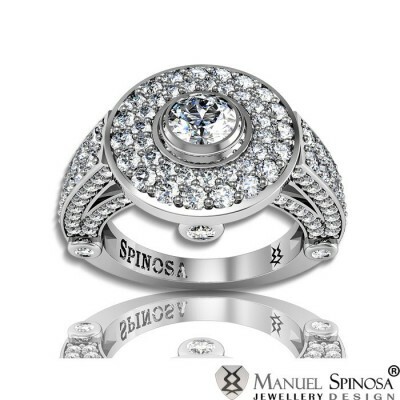 It is made of 18k white gold and its central diamond is surrounded by 11 brilliants, measuring 1.5mm each. 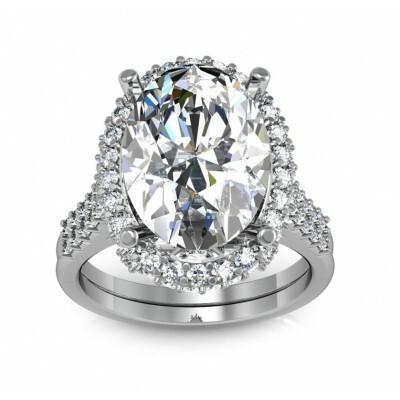 On both sides, you will see 52 brilliants. 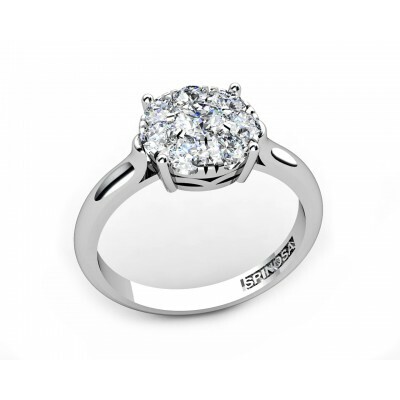 It has a total of 0.822ct H-VS quality.